Formed in early 2018, Elder is an jangly indie rock band hailing from north Brisbane, consisting of Matt Burton - Vocals and Guitar, Thomas White - bass and Talia Bond - drums. 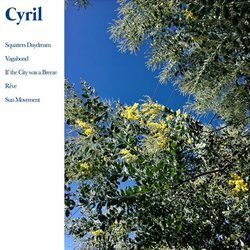 Being described as a mix of 80s new wave in a modern haunted house, their dreamy and soulful sound has continued to make waves within the Brisbane music scene with their debut EP Cyril being released December 21, 2018. Refreshing. Summer sun, and spring blooms – the heavy resonance of new beginnings. These sensations are reflected at the start and end of the song although what’s left is an ever-climbing anxiety to reach that high again. Jittery timing and exploration of sporadic bass and vocality are reminders of coveted tension that never occur in the beginnings of a daydream.